Cost savings, security, and operations & maintenance improvements have always been some of the major challenges for building owners. With increasing investments in IoT and intelligent building solutions, facility managers are now able to connect various assets and visualize data that provide improved visibility into building operations and performance than ever before. "The global ‘IoT for intelligent buildings’ market is set to surpass $22 billion (£17.5bn) in 2026, up from $6.3bn in 2017, according to a new paper from Navigant Research." In this webinar, our IoT experts will discuss how IoT-powered smart building solutions are creating a new paradigm of connectivity and disrupting the real estate and engineering industry. While real estate companies around the world are facing competitive pressure to join the crusade to automate buildings, we will show how you can make the most of the opportunities posed by IoT. Question 1: How far can your system go with the AI or is it not yet implemented? Answer 1: We are in process to connect our current system with AI and cognitive services. But our team is already working on AI and machine leaning programs to build various solutions. Question 2: What kind of connectivity you rely on: Cellular or Wi-Fi? Answer 2: To enable communication between assets, we require devices that support high bandwidth to transmit data frequently to cloud services. In some case, we use cellular 3G/4G connections where Wi-Fi connectivity is not available. Question 3: What are the most common application areas for smart building projects? 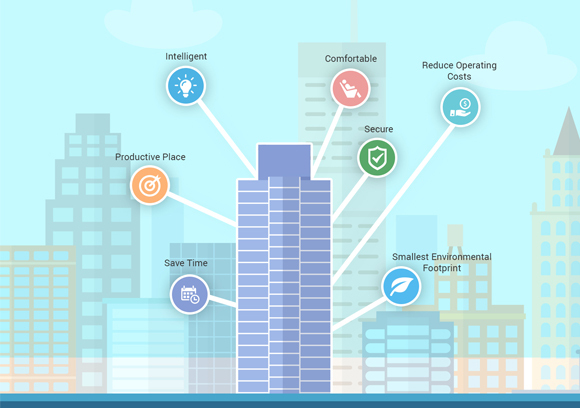 To know more about our smart building solution and use cases, please click here. Question 4: Which stage of a building is more suitable for starting the implementation of Smart Building Solutions? Answer 4: You can implement the smart building solution in your existing or new construction. We just have to utilize IoT-enabled latest systems which send data to the cloud system so that a building owner can use a data analytics tool and visualize the current situation to take actions accordingly. Question 5: Which challenges are smart building projects facing? Answer 5: Softweb Smart Facility Solution enables a facility manager to monitor and act upon all the activities that are happening across the building. To know more, please click here. Question 6: What would be the initial cost to deploy a Smart Building platform? Answer 6: The cost will depend on various parameters like external systems, sensors, hardware, protocols etc. Moreover, it will also differ from vendor to vendor.